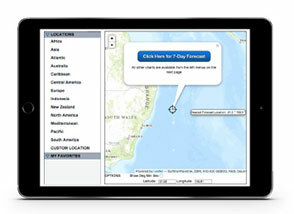 Click a forecast location on the map. View the 7-day marine forecast. 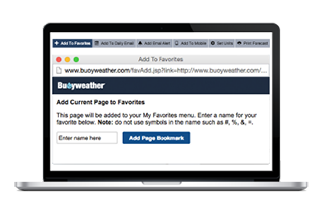 Save forecast location to your favorites. Access Premium forecasts on your computer, tablet and mobile device. View seven days of marine weather forecast - as well as marine weather data and charts.